Today is the last installment of the March Expat Experience that Molly put together for us. It's been a great month answering the prompts given and really exploring our expat life. For us, the process of moving to Korea was relatively easy. The hardest part for us was deciding where to move to. We knew we wanted Asia, but exactly where, we weren't sure. Once Korea was decided upon we just sat back and relaxed- just joking- we freaked out and got stuff ready. It was a little different for us because Matt actually got to Korea three months before me because I needed to finish my teaching contract in Hawaii and finish moving ourselves out of Hawaii. Okay- so it seems pretty easy, but it can be really overwhelming. Like what the heck do I pack? We each packed two 50 pound suitcases, a small carry on, and a personal item. We had done a bit of research on what they would and wouldn't have in Korea before we started packing for Matt. 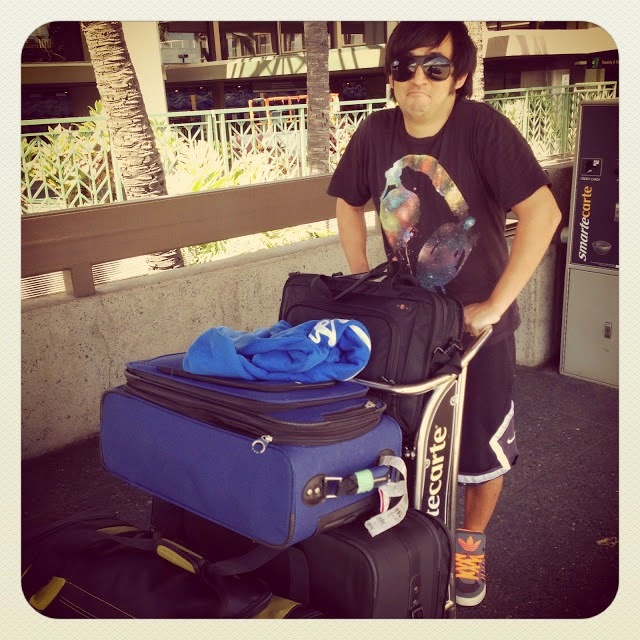 Since Matt was going first, we packed what we thought he would need and then if he couldn't find something- I would ship it or just pack it when I came. 1. Medicine- They have pharmacies here, but I've found the medicine to be a bit different. Sometimes not as strong as I want, and sometimes too strong. We packed: cold medicine, allergy pills, excedrine migraine, and then stuff for stomach problems- you know just in case. 2. Deodorant- Just go to Costco and get yourself enough for however long you'll be here. Koreans don't wear deodorant. I have seen deodorant at the foreign market in Itaewon, but it's really expensive and there's not a lot of variety. 3. Clothes- This is obvious, but I will never find my size clothes here in Korea. So I packed up what I thought would be enough for the year I would be here. I've also ordered stuff from Old Navy a couple of times and had it shipped. Also, don't bring nice clothes because the washers here will destroy your clothes. This tip goes for shoes- if you are bigger than an 8 1/2 bring shoes! 5. Personal Medicine- Whatever you are taking bring at least a 3 month supply of it. 6. Spices- We've been able to find a lot of spices, but somethings they don't have. So I brought a ton of cooking spices with me, and it's been so helpful. 8. Personal Documents and Pictures- Make sure you carry on all your personal docs (marriage license, birth certificates, etc) You'll want tons of pictures of your family around. 1. Towels- We read that Korea wouldn't have big bath towels to buy, so Matt brought a few with him. But they have them. 4. Toliteries- They have western brands of most of these products. You will find shampoo/ conditioner, body wash, lotion, contact solution, razors. They have it all here! And I think that's all I have to say about packing. I would make sure everything you are not taking to Korea is somewhat organized and in a safe place back home. There have been a couple things I've wanted my mom to send me, and I'm glad I had everything organized so I knew exactly where to tell her to look for it. I hope this was somewhat helpful. If you have any other questions let me know. 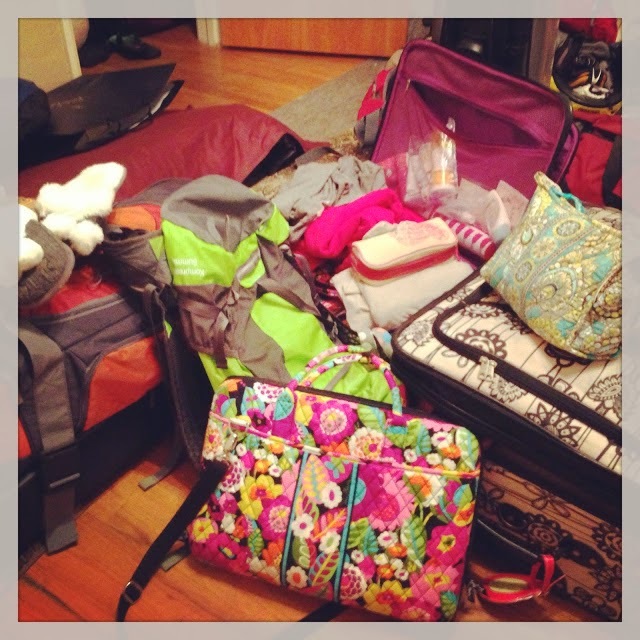 Knowing what to pack and what not to pack is really important. When I first moved to Libya I took EVERYTHING because I just didn't have a clue. It turned out that was probably best, but other countries we've lived in since have been much easier to live in in terms of finding every day items.